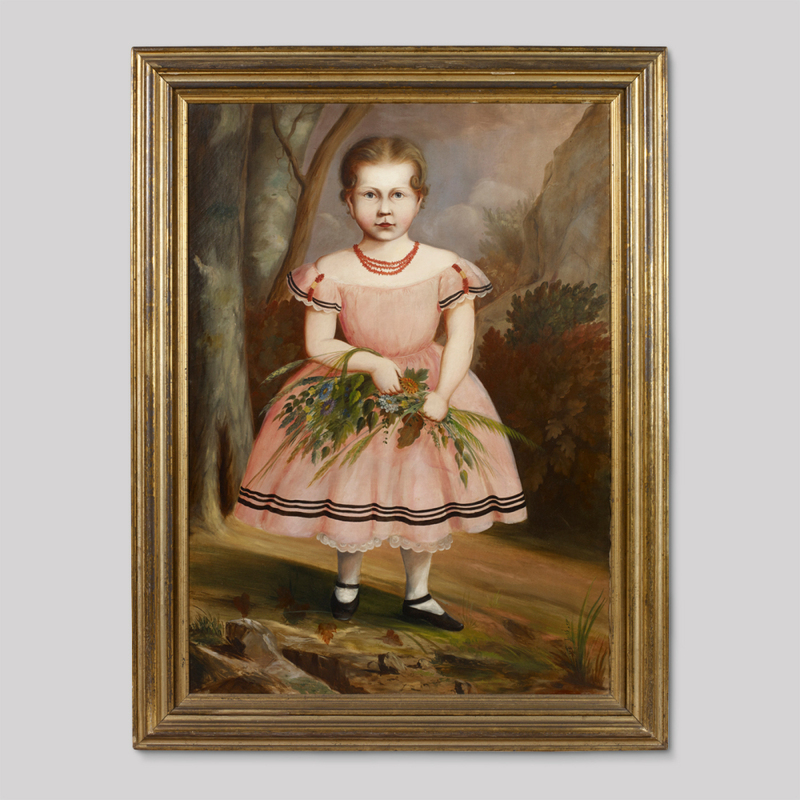 Antique Dealers Association of America - "Full Length Portrait of a Young Girl Wearing a Pink Dress, Red Coral Necklace and Holding Flowers in a Landscape View"
42" x 30"; 49" x 37 1/4" framed. 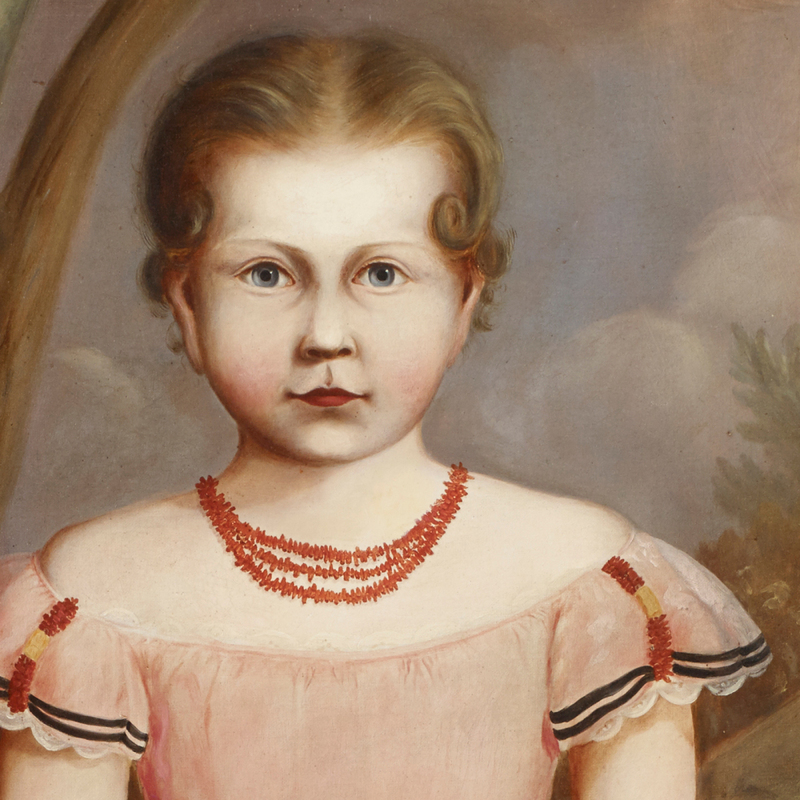 This charming portrait situated in a landscape has many attributes of portrait painters from New York State. The painting has survived in excellent conidition with virtually no restoration or in-painting. 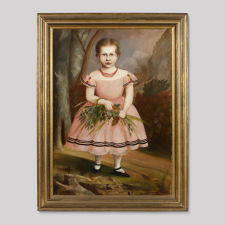 The painting also retains the original frame.